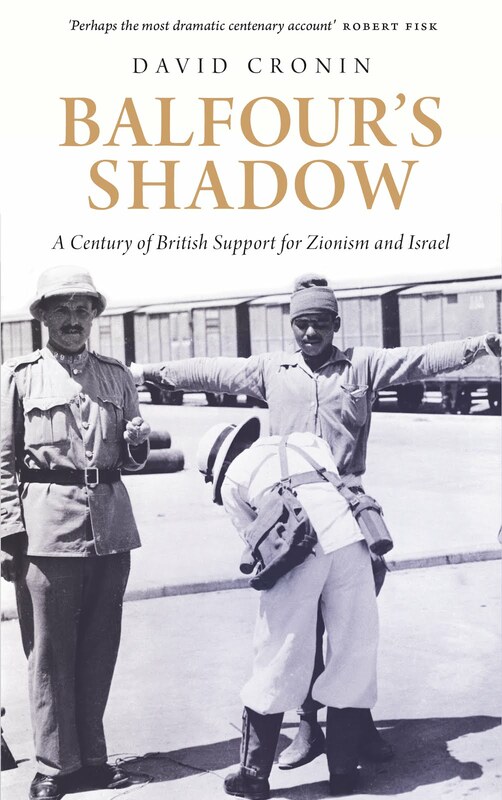 Does Britain conceal the full extent of its support for Israel? Sayeeda Warsi, a Conservative politician, recently urged the prosecution of British citizens who fight for the Israeli military. Warsi should be commended for raising an important issue – just as she did when resigning as a government minister over Britain’s refusal to condemn the 2014 bombing of Gaza. Yet Britain provides more direct assistance to Israel than allowing Londoners and Mancunians join a foreign army. One example of that assistance has avoided scrutiny: Britain’s embassy in Tel Aviv has hired senior players in Israel’s weapons industry. Since 2011, the embassy has hosted an initiative called the UK Israel Tech Hub. The initiative is chaired by Haim Shani, a civil servant-turned-entrepreneur. In 2012, Shani was appointed a director of Israel Aerospace Industries, a leading manufacturer of drones used in attacking Gaza. The biographical note for Shani on the UK Israel Tech Hub website omits any reference to his post with the weapons firm. It does, however, state that he is a former head of NICE Systems. No explanation is offered of how NICE, an Israeli corporation, has made surveillance equipment for police services and spying agencies around the world. Shani is credited with overseeing a seven-fold increase in NICE’s revenues. Following his departure from the firm, its “cyber and intelligence” division was sold to Elbit, another supplier of drones to the Israeli military. I contacted the British embassy in Tel Aviv, asking why it is hosting an initiative led by a man with such strong connections to Israel’s war industry. The spokesperson claimed, too, that the UK Israel Tech Hub has “improved life” in Britain by facilitating cooperation with Israeli firms involved in health care and the environment. Those comments indicate that the British embassy is parroting Israeli propaganda. Israel constantly boasts of innovations in water technology and medical treatment – as if such innovation cancels out Israel’s bombing of sewage treatment plants and hospitals. Other members of Shani’s team also have strong connections to the Israeli war industry. Naomi Krieger Carmy, director of the UK Israel Tech Hub, is described on the initiative’s website as an “8200 alumnus” – without any elaboration. Unit 8200 is part of the intelligence corps in the Israeli military focused on technological research. Maor Chester, “digital solutions manager” at the hub, also states on her LinkedIn profile that she served in “an elite intelligence unit (8200)” of the Israeli military. Every so often, the business press publishes articles celebrating how Unit 8200 has contributed to Israel’s “start-up nation” ethos. Yet there is a far murkier side to its activities than helping to shape the Internet’s activities. Yair Cohen, a former head of the unit, has admitted that it has been involved in spying operations during all of Israel’s major offensives. Those include activities by Mossad, the Israeli secret service. The UK Israel Tech Hub was officially launched by George Osborne, then Britain’s finance minister, in 2011. The achievement is a byproduct of profound injustice. Israel’s occupation of the West Bank and Gaza has enabled its weapons-makers to test out their products. Palestinians have been used as specimens in sadistic experiments. The British embassy is coy about how it is encouraging such experiments. Yet it does hint that Israel’s much-celebrated technology sector is inextricably linked to an army that denies Palestinian rights. “Cyber security” has been identified as a priority for cooperation. “Israel is a global leader in the cyber field, with a robust ecosystem drawing on capacity developed in the military arena,” the embassy has noted. Last year, the embassy arranged for businesspeople based in Britain to visit Israel’s “cyber security” industry. Lockheed Martin, a US military giant with investments around the world, was among the firms to take part. Matthew Hancock, a British government minister who joined that trip, has said that he wished to study how the partnership between private firms and public authorities that was deemed essential to the success of Israel’s technology sector could be emulated in Britain. His comments reveal the amoral outlook of the British ruling elite. That elite is impressed by how Israel has turned a military occupation into a business opportunity. The admiration runs so deep that Britain has handed over part of its embassy to the profiteers of occupation. •First published by The Electronic Intifada, 4 April 2017.